GoDaddy is the world’s biggest domain registrar and a leader in affordable web hosting. It did not achieve such a lofty position by offering lousy service at exceptionally high prices. In fact, it has done just the opposite. GoDaddy has built its reputation on high quality service that the average consumer can afford. To that end, GoDaddy is introducing three new promotions that web-hosting customers might want to consider. Small business owners looking to register a new .com domain or transfer an existing one can do so for just $1.49 for the first year. An additional $0.18 per domain is added to cover the ICANN fee. This low price lets business owners’ work on attracting new customers to their websites with additional domains that can be redirected. For business owners that do not yet have a website, the $1.49 price is part of an affordable package helping them to change that. Customers should know that the promotional price is good for the first year of service only. The standard price of $9.99 applies at the start of the second year or when adding additional years to the original purchase or transfer. Register a new .com domain name on GoDaddy.com for $1.49 with this promo code. What would a small business owner expect to pay for monthly web hosting? It can be pretty expensive with some web hosting companies, but not GoDaddy. When you take advantage of this promotion, you will get their basic web-hosting package for just $1 per month for an entire year. GoDaddy’s web hosting leads the industry with lightning fast speeds and a 99.9% up-time guarantee. GoDaddy is committed to the success of its customers by ensuring websites are fast and always accessible. Taking advantage of this promotion means your website visitors will not be waiting around for your page to load. It will always be there, and it will always be fast. Note that this offer is only for new customers; renewals are not eligible. Get GoDaddy's Economy hosting 12-month plan for $1 per month with this promo code. If you already have your own domain name and a GoDaddy hosting package, don’t worry. You haven’t been left out of the promotional loop. You can take advantage of GoDaddy’s 30% discount on all new product purchases. Whether you want its easy-to-use website builder or an upgrade to professional e-mail, you can now get it at 30% off. 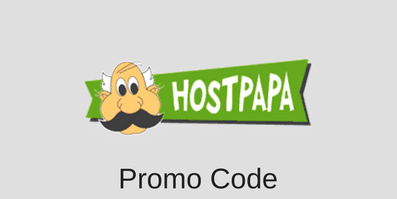 Get a 30% discount on any product and service on GoDaddy when you place an order using this GoDaddy promo code. There are plenty of good reasons why GoDaddy is the industry leader in domain registrations and affordable web hosting packages. The company is continually working hard to provide the products and services its customers need most at prices that are easy on almost any budget. To take advantage of any of the three promotions we have talked about, just visit the GoDaddy website. Keep in mind that the promotions are being offered for a limited time only. The sooner you get started, the sooner you will be enjoying all of the benefits of great GoDaddy service. This entry was posted in Coupons on October 13, 2014 by WHR.